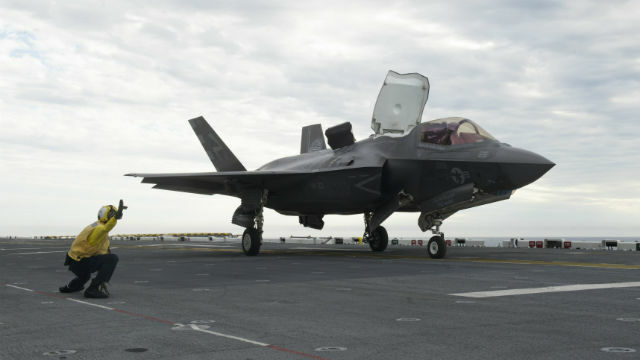 BAE Systems announced Wednesday a contract to modify the flight deck of the amphibious assault ship USS America to support new Marine Corps F-35B stealth fighters. The company’s San Diego shipyard has a $54.8 million contract for work on the USS America and the guided missile cruiser USS Cape St. George. Work on the America will start in March after the ship returns from its current deployment and is expected to be finished in December. In addition to the flight deck modifications, the work on the America also includes hull, mechanical, and electrical repairs. The work on the Cape St. George will include replacement of critical aluminium structures and the removal of obsolete equipment under the Navy’s cruiser modernization program.